There is no one better to entrust your power protection needs to than Toshiba. Over the past 125 years Toshiba has specialized in developing, manufacturing, and marketing innovative technological products for the fields of Electronics and Energy. Toshiba is consistently among the top 10 companies to receive patents, typically 900 a year. Toshiba International Corporation (TIC), located in Houston, TX, is the Industrial Division of Toshiba. At this location, Uninterruptible Power Supplies (UPS) are designed and built. Our Uninterruptible Power Systems are at the forefront of technology with their IGBT-based technology and quality philosophies. Toshiba UPS, without a doubt, the highest quality and preferred UPS in the World. Our commitment to excellence and quality in the design and manufacturing of this equipment is unsurpassed. This is due to the fact that our research and development in this product area dates back to 1968. As a result, you are assured the most technically advanced UPS available worldwide. The Toshiba series 1000 UPS systems are built in Taiwan. 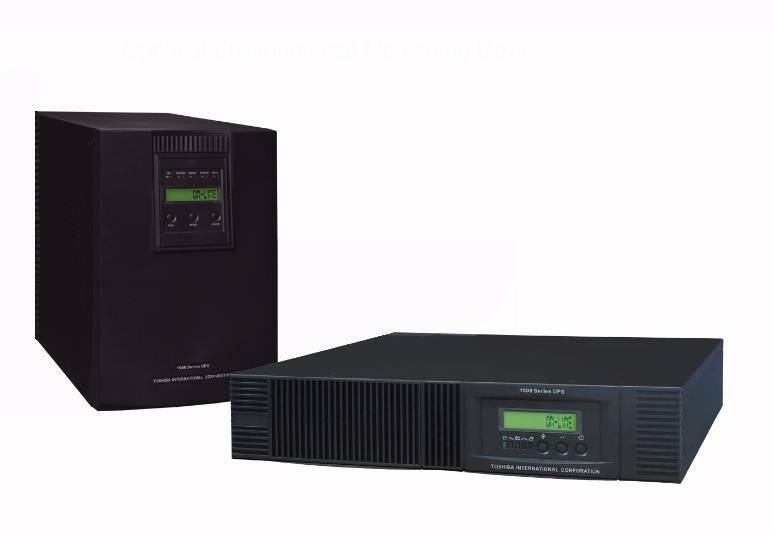 Toshiba 1000 Series Single Phase UPS Systems available with 700VA through 3000VA ratings. As a double conversion on-line UPS, it is able to supply uninterrupted, clean single-phase power to your critical systems while keeping batteries charged continuously, even if the utility power fails. Output Overload Capacity 125% for 1 min., 150% for 10 sec. See Toshiba warranty policy for full details. External Battery Cabinet UT1-BC-0125 or UT1-BR-0125 for extending run time. This item normally ships in approximately 16 weeks or less.